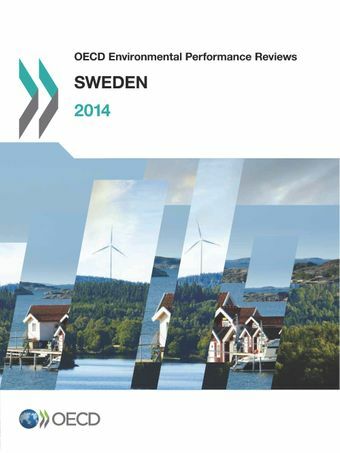 Sweden is a leader in many fields of environmental policy. It is among the most innovative OECD countries when it comes to environment-related technology, and has pioneered several policy instruments, many based on the principle of putting a price on environmentally harmful activities. Progress in cutting greenhouse gas (GHG) emissions has been impressive and Sweden has committed to ambitious climate goals. With neighbouring countries, Sweden shares a responsibility for the Baltic Sea, a very vulnerable marine ecosystem. Taking account of the benefits of marine ecosystems in decision making is, therefore, all the more important. While overall environmental quality is very good, the country faces challenges in meeting the very ambitious environmental quality objectives it has set for itself. sum up the main findings of the report. Hover your mouse over the dots to read the names of the countries and how CO2 emissions followed or not their GDP growth. Sweden is the red dot. Click on the buttons to change the dates and see the evolution of Sweden's protected areas. Photo : Derek Yu/Flickr, Creative Commons attribution licence. Istockphoto.com/x3viar, Funkform.